British shipbuilder Sunseeker International has unveiled an initiative to combat ocean pollution and unsustainable practices on the Spanish island of Menorca. The Sunseeker team worked closely with Blue Marine Foundation (BLUE) to look at regions and issues that reflected their brand identity and the interests of Sunseeker owners. Menorca, long seen as a popular destination for yachts, was the perfect fit. “When we launched our partnership with BLUE last year, we were talking to owners and what everybody is passionate about it. It was important to find a project that would resonate,” says Simon Clare, marketing director of Sunseeker International. Crucially, ‘Project Menorca’ will work with organisations and support partners who are established on the island, meaning that local issues are effectively addressed. Sustainable fishing practices are one of the key areas that the project is supporting, working with local fisherman to find alternatives to plastic bag use, as well as working on initiatives to remove plastic waste and abandoned fishing nets. Further, the project has developed relationships with the island’s 150 fishermen to create a ‘code of conduct’, which outlines a guide for responsible commercial fishing. They also hope this extends to those registered as ‘recreational’ fishermen, who often carry out unsustainable fishing practices. 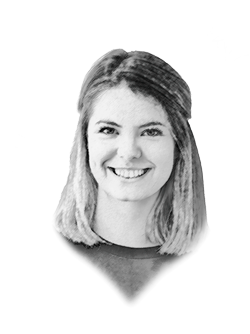 “BLUE’s mission is to create marine protected areas, and to establish methods of sustainable fishing, which both usually go hand in hand,” explains Rory Moore, international project manager for BLUE. “It’s normally quite hard to close down an entire area to fishing altogether, but what you can do is approach sustainable fishing.” He estimates that 70 per cent of all fish stocks are over-exploited in the Mediterranean. The BLUE team has also encouraged the use of ‘eco-moorings’, which do not damage the seabeds (and wildlife that lives there). They hope these will be installed in the coming months and available to boats visiting the region to reserve and use. “BLUE have a mission to protect 30 per cent of the oceans by 2030. We want to – even in a small way – be a part of that. If we don’t do something, and we don’t do something quickly, very soon the next generation of boaters are not going to have a nice environment to enjoy. We know that it’s going to resonate with our owners, with our clients and the wider audience,” remarks Clare. The Menorcan government has implemented environmental initiatives in the past, but these had (for various reasons – including lack of funding) fallen by the wayside. This is why the input from Sunseeker has been eagerly embraced by each party that the team is supporting, from local fishermen to government officials. 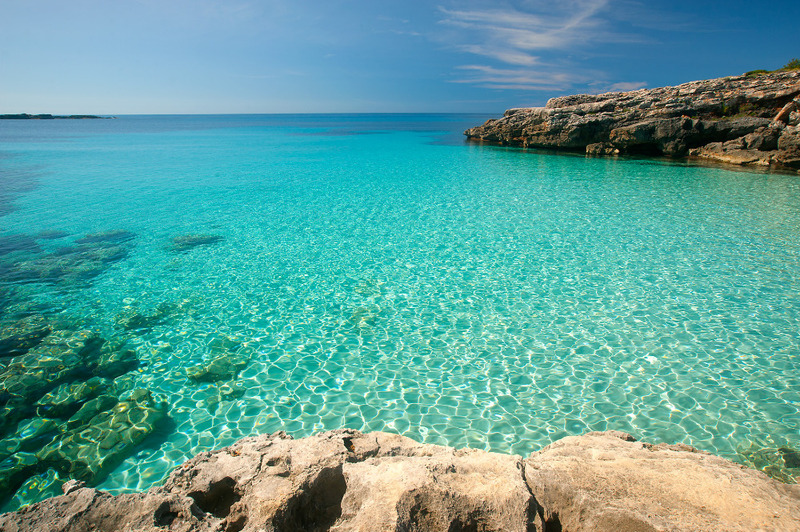 In 1993, UNESCO recognised Menorca as a natural biosphere reserve, a protected area “to foster the harmonious integration of people and nature for sustainable development.” In practice, this means that there are many restrictions on development and a focus on sustainable programmes. 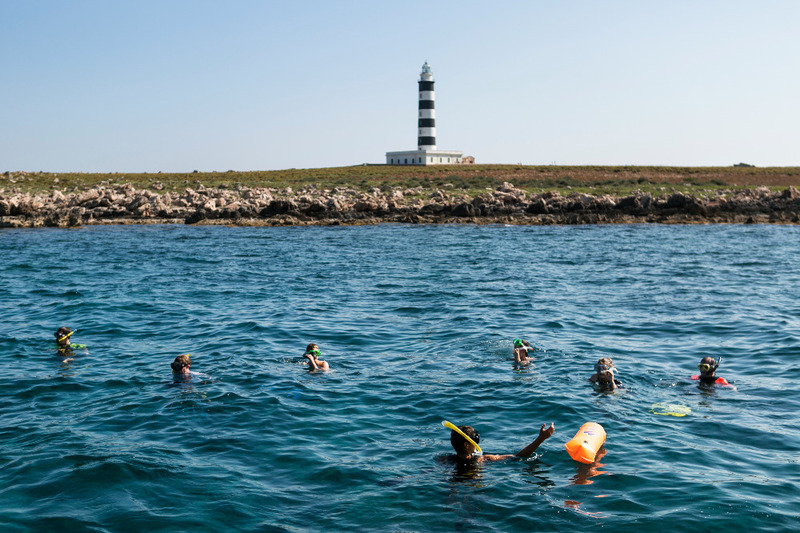 However, Sunseeker, the BLUE team and organisations on the island (such as the Menorca Preservation Fund) highlight that the biosphere status does not include the seas surrounding the island. A petition to extend the protection zone up to 12km into the ocean is currently being drawn up. 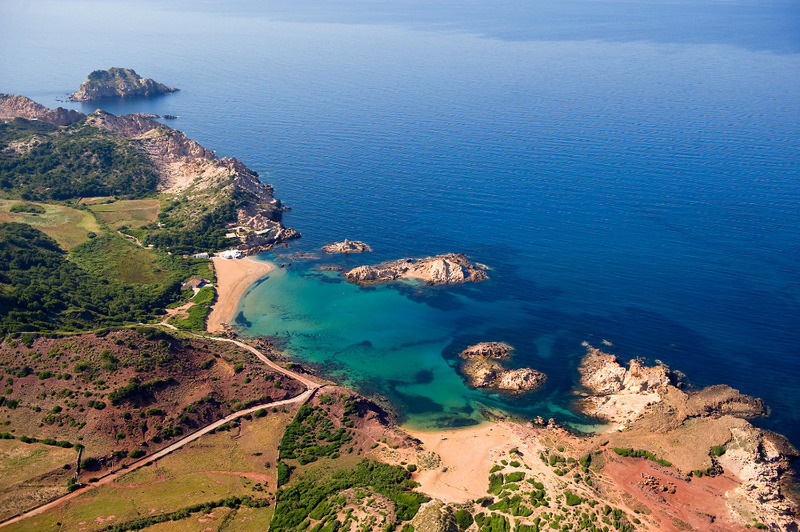 “The Menorca Preservation Fund (MEPF) was formed and funded by a number of like-minded individuals who want to see this ‘Jewel of the Mediterranean’ preserved for future generations,” explains George R. Anson, chairman of the organisation. Sunseeker has already funded four grants for the fund, totalling nearly €55,000. 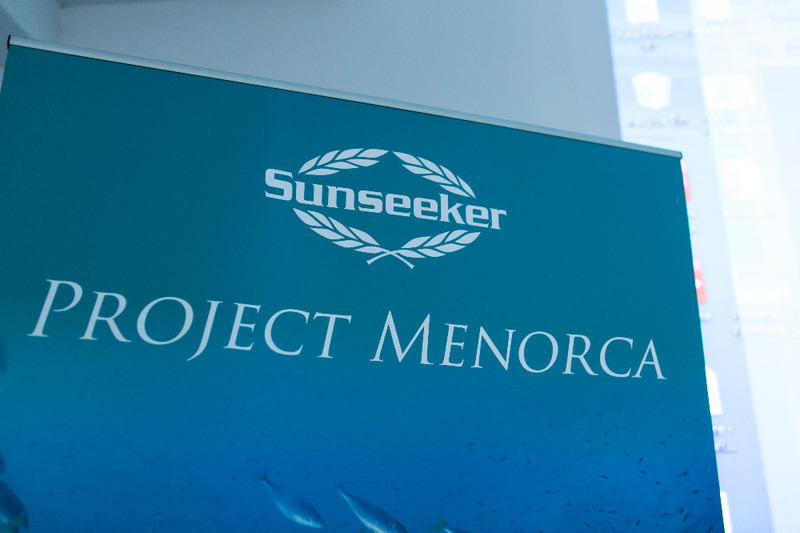 With the support of an international brand synonymous with boating in the region, ‘Project Menorca’ is just the beginning for Sunseeker. “We will start here in Menorca and we are looking to go further afield, to start the project around the world with BLUE’s support, as well as the local people on the ground to try and make a difference” adds Clare. Sunseeker has set up a website dedicated to the project, which includes an area where anyone can donate to the funding. They are also exploring other ways to engage with Sunseeker clients. For Clare, he is committed to raising awareness among all owners, not just those who own Sunseekers. “We’re hoping to inspire owners, who will then inspire their peers, to really make a difference.” The continued cultural awakening on the importance of environmental efforts – particularly within the superyacht market – is mirrored by the alarming rate at which ocean health is declining. The University of Queensland and the Wildlife Conservation Society recently released a shocking study that estimated only 13 per cent of the world’s oceans have been left untouched by the impact of humans. The collaboration between Sunseeker International and BLUE is a powerful example of how working with local communities is an effective way to implement valuable change and make a tangible difference. As a market that enjoys (and depends on) the ocean, it’s our collective responsibility to address the issues that the environment faces.